As you know, first impressions count. The interview determines whether you have a chance to make a second impression. To aide you in preparing for your interview, we developed this guide. Arrive on time. Know the exact place and time of the interview, the interviewer’s full name, the correct pronunciation, and title. Know something about the organization: the location of the client’s plants, offices or stores; how big the organization is, and what its products or services are. What environmental factors affect the project /work / organization? What are the keys to being successful in this position? Ask us for advice on appropriate interview attire. This varies from company to company, and your representative should be able to give you specific guidelines. Don’t sit until offered a chair. Sit upright in your chair – it conveys interest. Be a good listener as well as a good talker. Smile. Try to get the interviewer to describe the assignment and duties early in the interview so you can relate your background and skills directly to the position. Answer questions truthfully and simply, with brief examples to add substance to your response. Do not ramble. Don’t try to control the interview. The interviewer has a short period of time to determine if you might meet the needs of the project. This cannot be accomplished unless your responses are brief and to the point. Prepare for typical questions. Beyond what you did when, you might be asked: What kind of assignment are you looking for? What are your strengths? What would your last (or current) supervisor say is your biggest weakness? Prepare for behavioral questions specific to the position (questions that ask how you would respond to a specific incident or set of circumstances). Don’t ever make derogatory remarks about your present or former clients, employers, or coworkers. Don’t discuss compensation related items. If you are interviewing for a consulting position and the company asks about rates, refer them to us. Remember that the goal is to get an offer for the assignment. You don’t know exactly what you’re turning down until you have the offer. If you want the position, be sure the client understands this. Don’t expect an offer during the interview. The interviewer will probably expect to make final arrangements through us, or may wish to interview more applicants before making a decision. Call us for a debriefing. Your account manager will also talk to the client, and be able to give you input on what they considered your strengths and weaknesses for this work. They’ll be able to help you strategize your request for a specific start date. They can get you answers to the questions you thought of later, or felt were too delicate to ask during a first interview. Finally, prepare a thank you email. If you want this position, this is your opportunity to re-address any issues you think you handled less than perfectly during the interview, and to stress the strengths you bring to the job. It also is an opportunity to demonstrate that you’ve already begun thinking about specific things you might do for the company. Did they mention a problem you’ll have to solve? Give them an idea of what your first step would be in solving that problem. Show them how pro-active you are. Use a land line whenever possible. If you must use a cell phone, please stay stationary. Even moving around a room can cause signal disruption. Do not take an interview call while traveling in a car or sitting in a public place. It’s a signal to the hiring manager that you do not take the opportunity seriously. Stand if possible. It lends strength to your voice and sharpens your focus. Any expression of interest and enthusiasm helps! So smile while you talk with them, even though they can’t see you. It will be reflected in your voice. Get to a quiet room & allow at least an hour for the talk. Let anyone who might be in the house / office know that you need uninterrupted time to be able to focus on the call. Then focus. Stay off-line & don’t give into the temptation to multi – task. Keep your answers brief and to the point. They’ll have a certain number of questions to get through in a limited period of time and if you spend too much time answering any one question, it detracts from the whole interview. If you don’t understand the question, ask them to repeat it. If you don’t know the answer to a question, don’t try to make up an answer. Just let them know and move on to the next question. If you used to know the answer to a question or solved a similar problem earlier in your career, it’s o.k. to say that it’s been several years, so while you can’t remember the specifics now, you know where to find the answer or how to go about solving the problem. 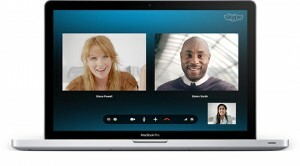 We at MACRO.CCS find ourselves increasingly using Skype as an interview tool. Granted, it can be rather buggy and choppy, but in the end it serves as a good tool for face-to-face time with candidates who live far from our offices in the greater Seattle, and Los Angeles, areas. However, during these interviews we’ve noticed that people don’t always prepare and present themselves as well as they should and thus decrease their chances of interview-success. Following is a discussion of what we’ve noticed, and how it can be improved upon to increase the likelihood of interview-success. The more preparation, the less buggy, and the more professional and successful your next Skype interview can be.